The OSS Critical Mission Response Rig is built for the Patrol Officer in mind that is the first arriving officer on scene at any Active Shooter Scenario. Often times the Patrol Officer is out gunned and ill-equipped at these dynamic scenes. This armor package will put the odds back in the officer’s favor. It is designed to be donned and doffed rapidly within 12-16 seconds for most officers. It is designed with armor piercing rounds protection in mind. The Rig is equipped with our OSS level IV NIJ 010.06 stand alone, muilti hit capable advanced plates front and back. It also has multiple pockets and pouches already set up for specific use, such as a triple Patrol Rifle Mag pouch and a Triple Pistol mag pouch that can be attached anywhere on the rig. The Carrier itself is designed to hold large 10x12 plates and can accomodate soft panels as well. It has complete side/ cummberbund coverage and can be loaded with any side armor plates or soft panels. It is fully adjustable with 2" snap buckles on the shoulders for quick release and internal waist strap. Comes with Police ID Panels front and rear. 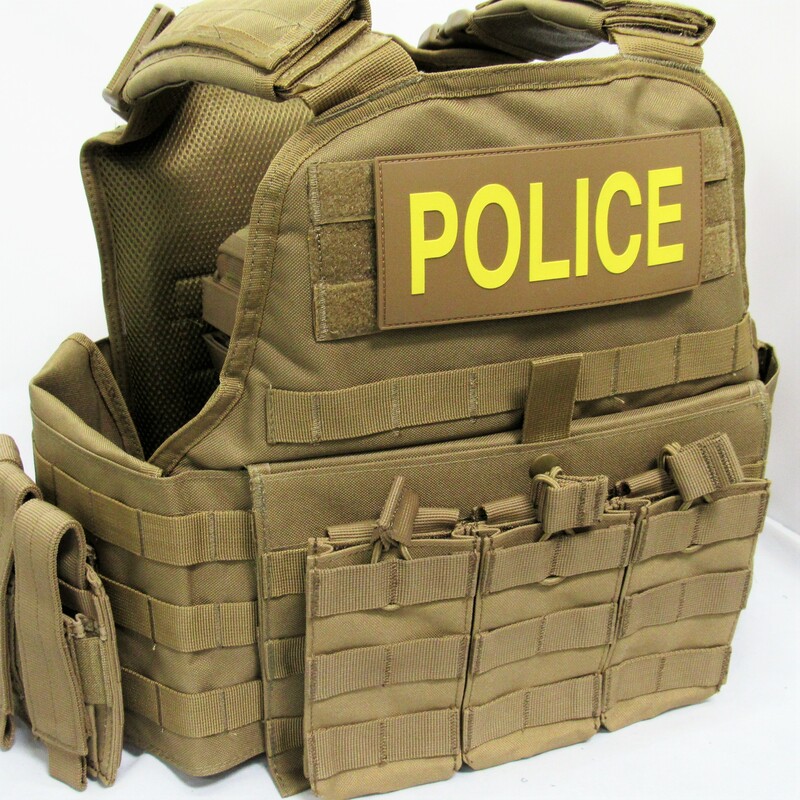 This proven design is currently used as a standard operational platform by several SWAT and HRT Units across the US.